The following information was provided by Tracy Brown, Trout Unlimited Northeastern Restoration Coordinator. Trout Scapes, the engineering and design company working on the Mill River project, agrees with the design modifications proposed by Tracy Brown of TU and Mike Humphreys of DEEP. Estimated cost is $45,000 to complete the work on the Mill River refuge. 1. Meet with Town of Cornwall to confirm acceptance of design. We are researching leads on grants for the project and will pitch the idea to some potential donors. 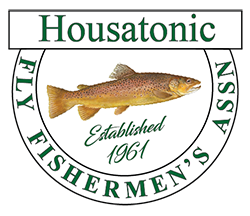 We have close to $10,000 reserved for this project in the Housatonic River Fund held by Trout Unlimited.